VROV gains its value as a risk deterrent through its environmental accuracy and responsiveness. 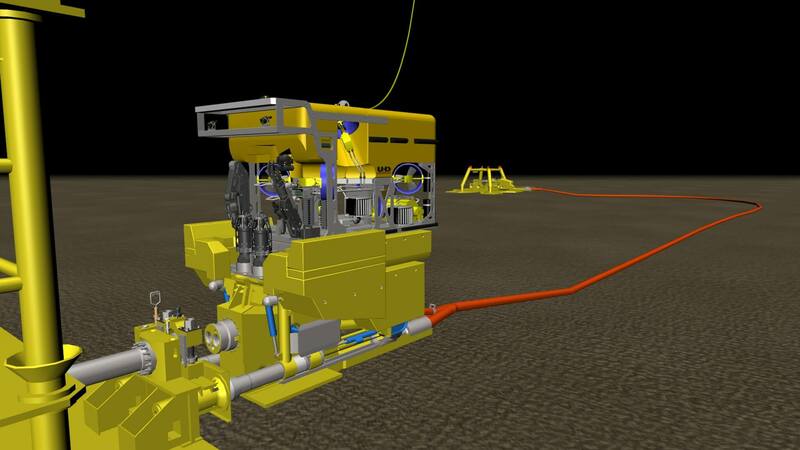 This ROV simulator allows for the adjustment of all subsea environmental dynamics, and a simulation may be quickly replayed with new dynamic properties. Aside from environmental conditions, highly detailed collision dynamics and object interactions provide a realistic platform for the prevention of operational error. 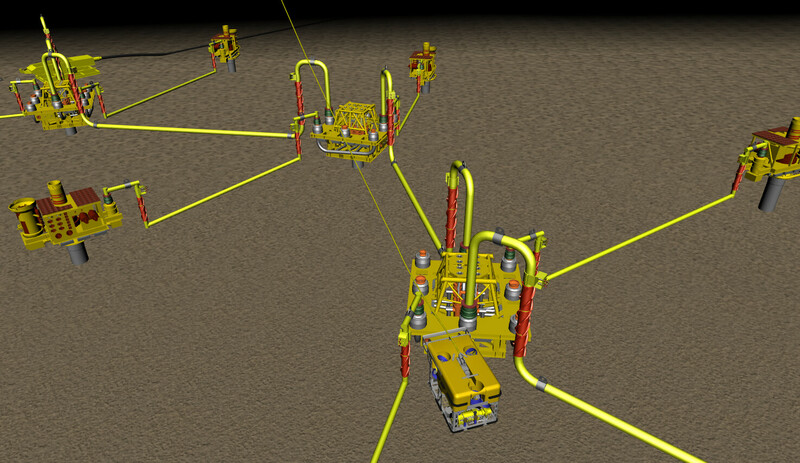 Analysis Mode: This is the predictive mode of VROV, showing potential clashes and gaps between equipment and proposed procedures. VROV also provides for the modification of environmental conditions, continuous display of engineering data, and operational limits analysis. Training Mode: This involves training to ensure the proper testing and validation of the capabilities of the analysis mode. The feasibility of operations and proposed procedures may be evaluated in the Front-End Engineering and Design stage of the development process. Real-Time Visualization Mode: Acoustic positioning data and ship positional data display select engineering data in real time. 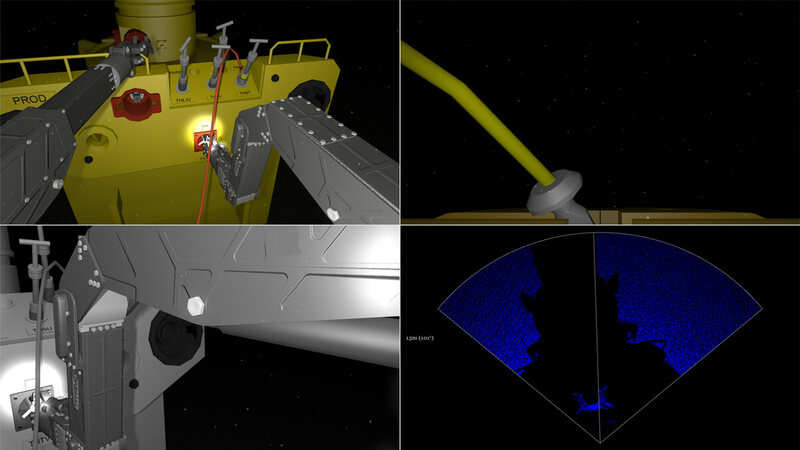 VROV also supports RAO data to accurately simulate the positioning and action of ships and vessels. 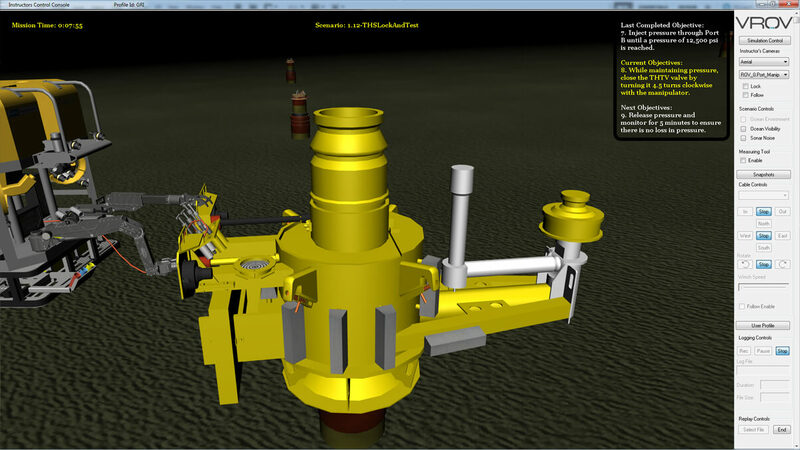 In addition, ocean simulation is based on wave spectrum and features reflections and transparency. 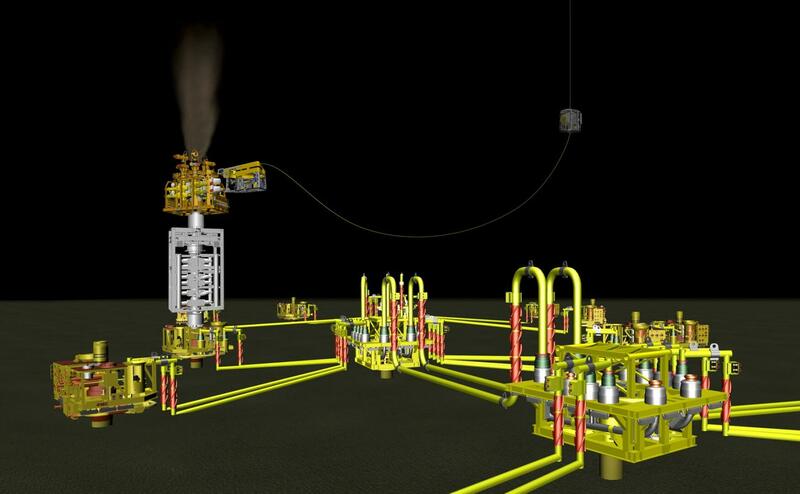 This high fidelity approach to surface and subsea dynamics allows operators to transfer their knowledge from the simulation to the real-world dynamic with confidence. As an instructional tool, VROV provides a cost-efficient opportunity for a trainee to gain valuable stick-time and operational familiarity while minimizing risk to personnel and ROV equipment. 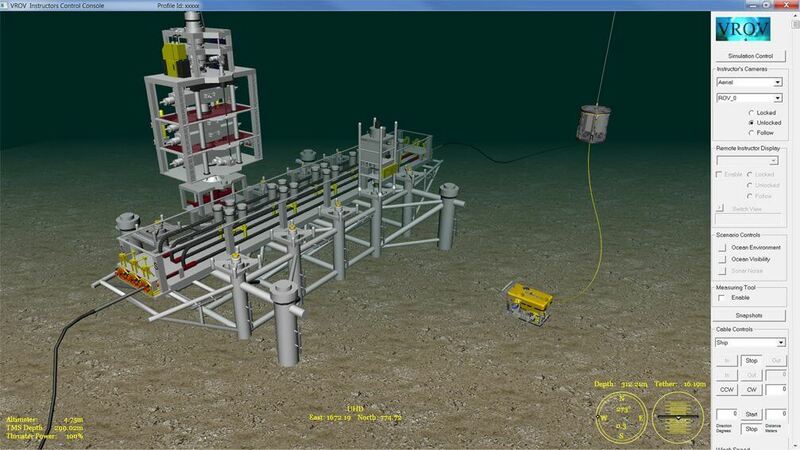 As a design and engineering tool, it consistently demonstrates its value in testing the form and function of subsea assets, including vehicles, tools and structures control software, and in facilitating training in operation and installation of assets. DE-SIT of flexible flowline jumper procedures, including pullhead connection and removal, as well as hub face cleaning and seal plate change out.